When it comes to sewer line repair, you should understand the basics of your drain-waste-vent system (DWV). The DWV consists of the fat pipes in your home, carrying wastewater to a city sewer line or your private septic tank and field. The drainpipes are made of galvanized pipe, cast iron, copper, plastic or combination of materials. Any harm or breaking of these materials causes sewer line damage. As a homeowner, you take responsibility for the portion of your sewer line leading from your house to the main sewer line under the street. Consequently, any time you have a clog, blockage, root infiltration or other issue in your sewer line, it is your call to find a plumber who can clear it! If you require sewer service such as drain cleaning, sewer line inspection or repair, you made it to the right destination. At Orange County Plumbing Heating and Air Conditioning we focus on sewer line repair and replacement along with other plumbing services. 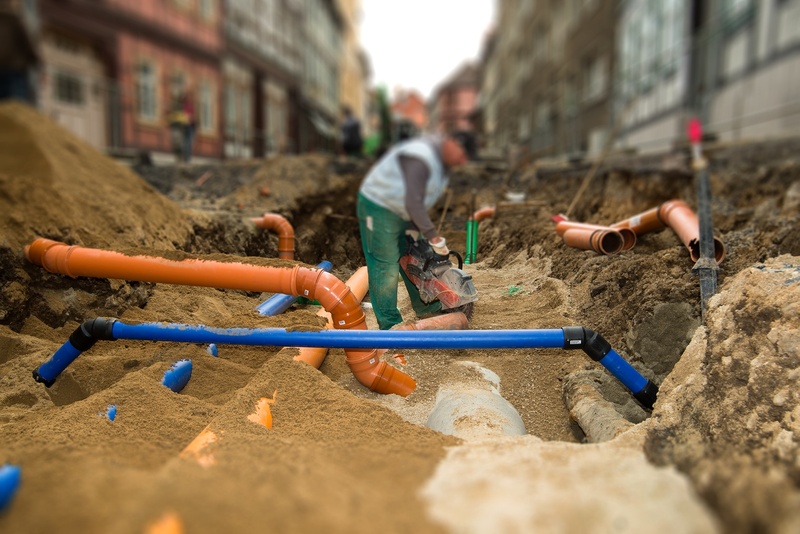 If any of the reasons apply to your plumbing issue or if it has been proved that you need sewer line replacement – call us today! We will eagerly and promptly send our certified sewer line specialist to troubleshoot your problem. Various sewer line estimates and financing options are also available!